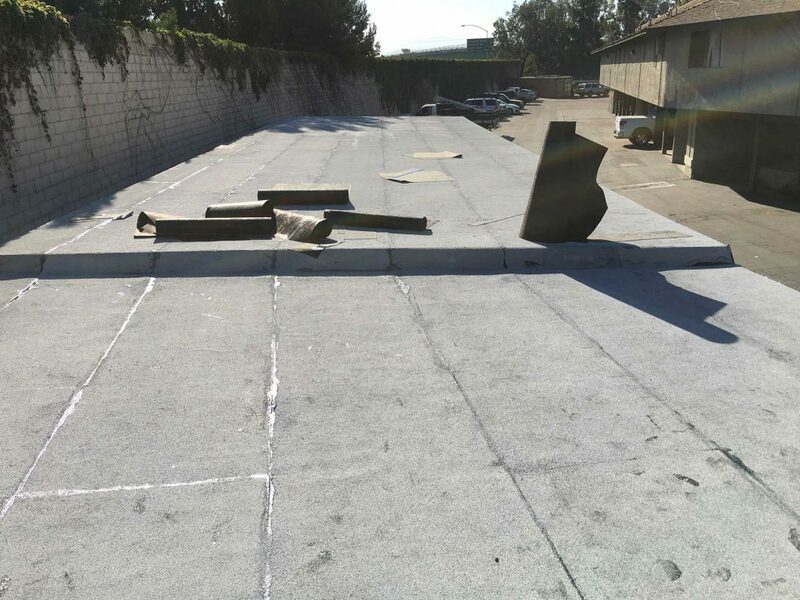 One of the most common residential low-slope systems, modified bitumen, combine hot asphalt (bitumen) with plastic and rubber additives which are layers between sheets of fiberglass or polyester. Its lifespan is determined by the number of layers installed. 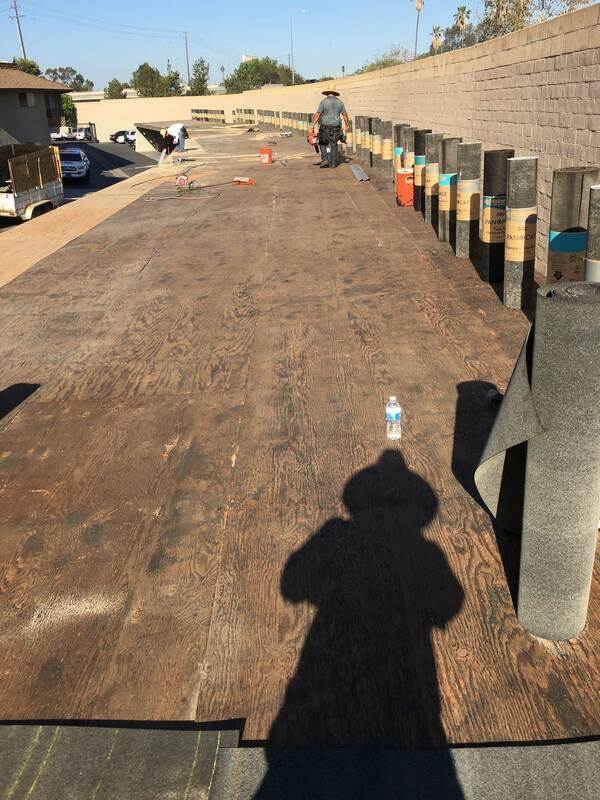 Modified bitumen roofing exhibits many characteristics of bur yet affords the ease of application of a single ply-system. These membranes are resistant to heavy traffic, punctures and tears. In the photo below you will see we have replaced the damaged sub-roof sheeting. You will also notice a clean smooth surface with no debris and all the wood is securely nailed down. In the next photo you will see a flat roof we installed. You will notice a flat cap sheet roof being finished. Contact Horizon Roofing to discuss your roofing project. We are happy to answer your questions and schedule a free estimate!